During the 19 seasons Rich Clopper was head coach of boys and girls swim teams at Richwoods High School, his athletes barely knew what losing meant. First came his stint with the boys swim team. That began with the 1969-70 season and lasted for nine years. In the Mid-State conference he coached for 105 dual meets. He lost but once. Overall, his record was 158-16-1. He won the conference meet every season. 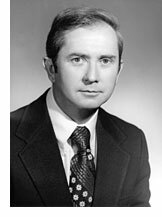 Beginning in the fall of 1977 he became coach of the Richwoods girls team with the same great success: total conference dual meets, 43: total won 42. His overall girls dual meet record was 89-12 and eight conference meets were won. Putting the records of the boys and girls together, the figures are an amazing 146-2 for conference meets and 247-28-1 overall. Plus a total of 17 conference titles won. 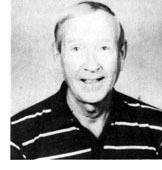 He has coached five state champions during his stint with the boys: Gib Leach in the 100 breaststroke in 1970 and 1972; the 200 medley relay team of Leach, Jim Bucher, John Houser and Cliff Myers in 1972; and Jim Bucher in the 200 individual medley and the 100 freestyle, both in 1974.